Every year, more than 2,000 New Yorkers die of flu or flu-caused pneumonia. Influenza, commonly known as flu, is a contagious infection of the nose, throat, and lungs that causes fever, cough and muscle aches. Sometimes people get confused with flu and colds. Even though symptoms could be similar, flu is a lot more serious infection than a cold is. While people may suffer from cold several times each year, one can get flu only once every few years. Influenza or flu is a respiratory infection, caused by the virus, which develops in the lungs and can affect both children and adults. Influenza usually causes fever, exhaustion, and severe body aches, unlike any other respiratory infections. There is a broad spectrum of symptoms such as dizziness, headache, body aches, chills, lack of energy, nausea, and vomiting. After two to four days fever and body aches will go away but other symptoms may occur such as dry cough, runny nose, sore throat or sneezing. However within four to seven days, with adequate treatment, most symptoms should be gone. Viruses that cause influenza are different and therefore divided into three types, A, B and C viruses. A and B viruses are responsible for respiratory infection epidemics that occur almost every year. Virus type C cause very mild respiratory infections and, unlike type A and B, does not have a severe impact on public health. If not treated flu can lead to serious conditions and complications. The best way to protect yourself is to get vaccinated. Annual flu shots are the most recommended preventive method and are available in hospitals, health centers or pharmacies. 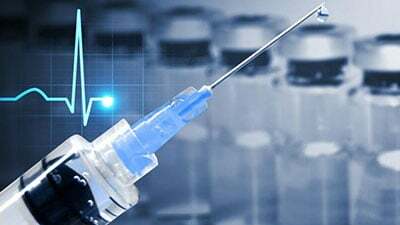 There are two types of flu vaccines: the injection that contains killed viruses and nasal spray with live, but weakened viruses called FluMist. While some people will better accept the injection others may prefer the nasal spray. However, both types protect equally. Each year flu viruses will slightly mutate which makes the previous year’s vaccine ineffective. That’s why one should get vaccinated each year. Flu shots side effects are usually minor. The most frequent side effect is arm soreness while less common are mild fever and muscle ache. These symptoms may last one to two days. Flu is successfully treated with different medications such as a combination of Acetaminophen (Tylenol) and Ibuprofen (Advil, Motrin). There are numerous over the counter cold medications that could ease some of the symptoms such as cough drops or throat spray. However, if the symptoms are present for more than seven days, one should visit primary care physician. The best way to protect yourself from the flu is to get vaccinated so visit your local pharmacy or primary care physician for a flu shot. To get your flu shots, come to Century Medical and Dental Center (Downtown Brooklyn, Gravesend, and Flatbush) today.